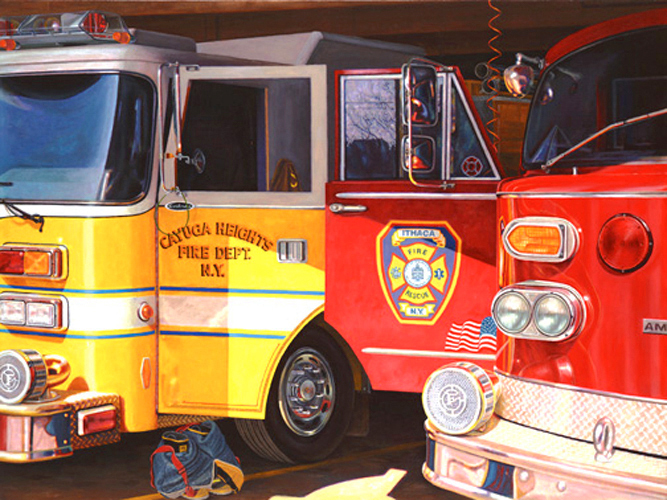 Cayuga Heights Fire Dept. and the artist on standby at Ithaca Fire Dept. 's Green Street firehouse.